Case is a washed-up, drug-addicted computer hacker who is rescued from his downward spiral of dangerous scams and suicidal tendencies when Molly, a “Razorgirl,” recruits him for a mysterious mission that throws him right back into the world of cyberspace and computer hacking he left behind. The rest of the novel details their adventures sci-fi-style — complete with battles among cybernetically-modified humans, large-scale computer espionage, and cool tech-y inventions that like the ability to project holograhic images or to see through another person’s eyes – literally. As a caveat to this review, I must mention that I am not a science fiction reader. Beyond a few short stories and some Ray Bradbury, I’ve read little to none and I’ve never felt particularly inspired to do so. I picked up Neuromancer because of its genre-breaking (or making?) status and the sheer volume of accolades and glowing reviews that have been showered upon it. In other words, I figured that if there was a sci-fi book I should read, this was it. I didn’t really enjoy the novel, but I’m willing to entertain the idea that my lack of experience with and interest in the genre could be the problem. There were some pretty sentences and the major characters (Case and Molly) were decently well-developed, but the plot line was dense, confusing, uninteresting, and full of conveniencies and things that seemed to me to be invented by the author to further things along. I can tell you what happened, even using the book’s lingo, but I’d be hard-pressed to explain why any individual bit of plot matters or what the point of the whole mission was in the grand scheme of things. I didn’t get that sense of bits and pieces clicking together as things moved along that I expected and there was no indication that the final result has any impact or influence on the world Gibson has created or even means anything at all. The most interesting thing to me (and this comes up in every review and essay anyone has written about the book) is Gibson’s invention of the term “cyberspace” and, more than that, his imagining/prediction of it: “Cyberspace. A consensual hallucination experienced daily by billions of legitimate operators, in every nation.” This creative achievement is certainly worthy of note but, ultimately, I can’t really recommend this book to anyone except true-blue sci-fi readers. 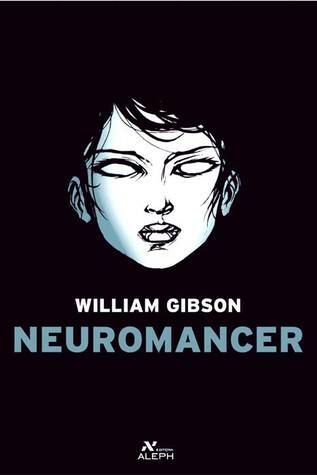 If you happen to be a sci-fi enthusiast though, Neuromancer is a must-read! Next Article And the winner is….